The journey of Embracing Hope Ethiopia began in 2006 when Jerry & Christy Shannon first started exploring international adoption. While happily living in the US, they also were challenged to remember the poor. 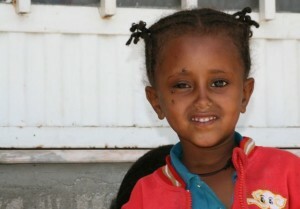 In 2008 they traveled to Ethiopia to adopt their daughter Hanna. It was a life changing experience for them. (During this trip they met Alayu Tadesse who founded the local NGO named Embracing Hope Ethiopia alongside of the Shannons.) 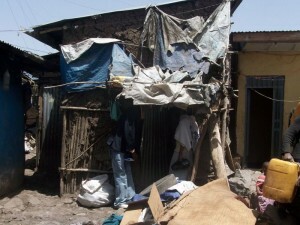 After returning to the US they felt as if God continued to do a deepening in their hearts for the people of Ethiopia. So, in 2009 their family moved to Addis Ababa, Ethiopia. 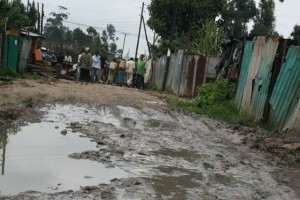 Samrawete 2011 – When Day Care first opened. As they spent time on the ground in Addis Ababa, they realized that the people who were most in their hearts were orphans or those children whom were living in such poverty that their family was vulnerable to needing to give their children up, unless there was intervention. What also started to grow deep in their hearts was Psalm 68:6 “God sets the lonely in families.” Out of this a vision developed for ways to help keep families together and to prevent orphans among the poorest of the poor. A vision started to come into focus of some practical ways that families could be served to become more sustainable while also overcoming the emotional, psychological, social and spiritual causes and effects of poverty in addition to the physical needs being met. An EHE Mom’s house at time of coming into the program. 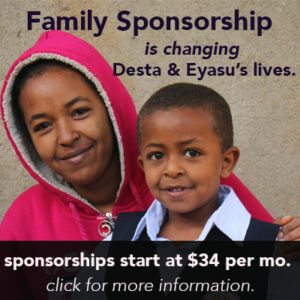 In 2010 this vision started becoming a reality as a team of Ethiopians including Alayu Tadesse sacrificially gave of their time, energy and service to form a Board of Directors and get licensed. Alayu and his team volunteered so much during this time – freely given as an act of worship to God on behalf of the poor. 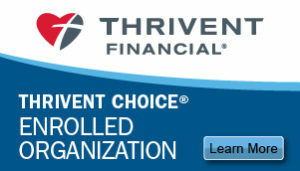 In 2010 EHE also was incorporated in the State of Pennsylvania and registered with the IRS as a Non Profit 501c3 Charity. In Ethiopia we work as a Local NGO licensed by the Federal Democratic Republic of Ethiopia, Charities and Societies Agency since January 2011. In April of 2011 we opened our doors to provide Day Care and holistic interventions to the first 20 children and their Moms. 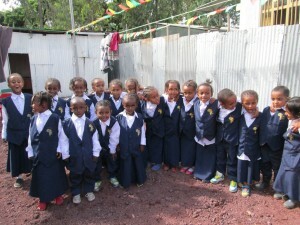 Some of the EHE School Children. Since those days, Embracing Hope has opened a school (licensed by the Ministry of Education), a Spiritual Ministry (licensed by the Ministry of Federal Affairs) and greatly expanded our scope of service in the Kore’ community. Embracing Hope has grown to now serve almost 300 children from over 260 families, all of them young and vulnerable. 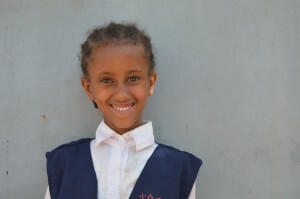 EHE now employs 65 Ethiopian staff who diligently serve children and mothers in holistic ways.